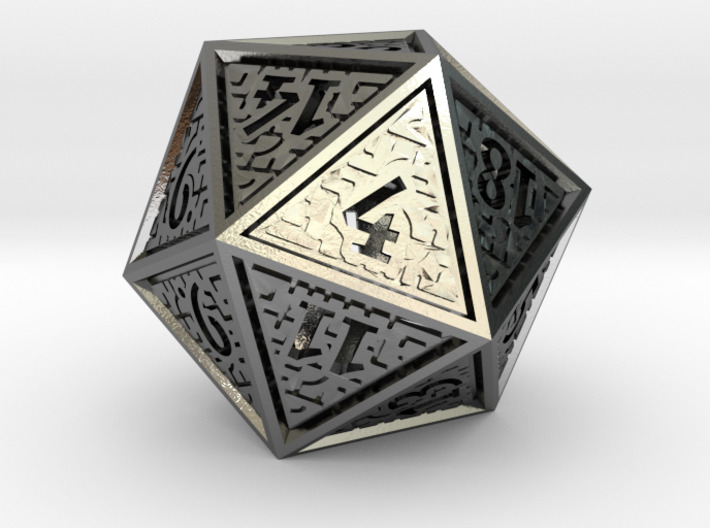 This is the regular version of the twenty sided die (d20) in my hedron series. 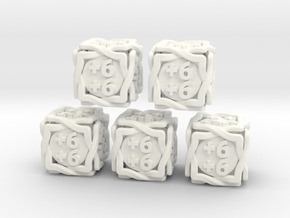 This die is meant for use in tabletop (roleplaying) games. The numbers on opposing sides sum to 21. If you are looking for a spindown version of this die, for keeping track of life totals, please have a look here. This d20 is pretty large. It measures about 32 mm (1.3 inch) across the opposing faces, and about 40 mm (1.5 inch) from tip to tip. 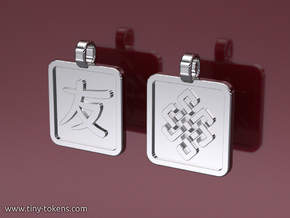 It weighs about 38 grams when printed in steel. The die is well balanced and gives a fair roll. 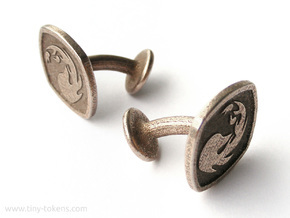 This design is hollow for better results when printing in steel and the other metal options. A solid version, for printing in plastic, can be found here. For the other dice in this set, please have a look at the Hedron category in my shop.